Marco Asensio won't be leaving the Bernabeu any time soon if Zinedine Zidane has his way. The Real Madrid manager says the Spain international winger is integral to his team going forward and rejected any talk of a move in the cards for the 23-year-old. "I have spoken to him and told him that he will be fundamental to the team," Zidane said. "And I want him here with us." 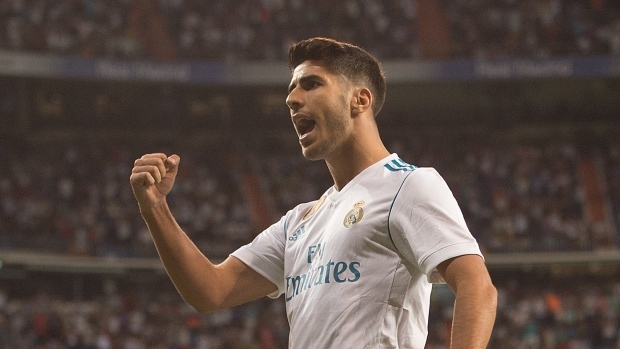 After breaking out last season under Zidane, Asensio regressed under managers Julen Lopetegui and Santiago Solari prior to Zidane's return earlier this month. Currently on international duty with Spain, Asensio had been tipped with a move away from the club with Liverpool among the potential suitors. In 36 appearances across all competitions this season, Asensio has scored six times. Joining Los Blancos from Mallorca in 2014, Asensio re-signed with the club in 2017 on a deal taking him through 2023. Among the honours Asensio has won during his time with the club are the 2017 La Liga title and three Champions League titles. In 127 appearances across all competitions over three seasons, Asensio has 27 goals for Real.